Lightning Box is a company based in Sydney, Australia that was created in 2004 to manufacture and distribute slot machines for a number of different land-based casinos. With the rise in popularity of online gaming and mobile gaming, the company has changed its focus to keep up with the way customers are playing games. The company switched its focus from land-based casinos to online and mobile casinos and has formed partnerships with lots of clients from all three types of casinos. The company’s games have unique mathematical features to give players fair chances of winning. Lightning Box has mainly focused on video slots. These video slots are known for the immersive and thrilling experience they give players, not to mention their excellent graphics and sound effects. The company has nearly 40 games available, some of which have progressive jackpots, while others have non-progressive jackpots. What Lightning Box does to set themselves apart from their competitors is they take any requests made by clients into account, so that the slot game they provide for the client is a perfect match for the client’s audience. Some of the games developed by Lightning Box include Aztec Sun, Dragon Palace, Dinosaur Up and Moon Temple. These games can be played in most jurisdictions. They’re available on most mobile operating systems, including iOS and Android, as well as Macs and PCs, though there is additional software that you have to download. You can also find games developed by Lightning Box in numerous land-based casinos around the world. As well as the games mentioned, Lightning Box provides games that are designed especially for social media sites. As well as offering a number of games for land-based casinos, online casinos and mobile casinos, Lightning Box has a consulting service available that’s designed to help grow online casinos. New online casino from Nektan offering a great selection of casino games and slots with software provided by NetEnt, Blueprint Gaming, Realistic, SG Games and more. Live Chat available ad loyalty scheme. T&C's: 300% Welcome Bonus 1. The 300% welcome bonus is only redeemable upon a player/household/computer’s initial approved deposit. 2. The 300% bonus is available up to the value of R6000. For example, if you deposit R500 you will receive a bonus of R1500 amounting to a total balance of R2000 3. The bonus balance together with the deposited balance is subject to 30 times wagering requirements before withdrawal can be made. 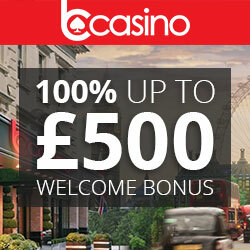 300% UP TO£6000*T&C's Apply.18+ Only.New Players Only.BeGambleAware. Spinzilla is the new Winneroo Games and it's better than it's predecessor. All the latest slots, casino, table and arcade games. T&C's: New players only with a valid credit/debit card. Once per household. Offer is available until further notice. Max 10 Free Spins. Free spins are valid for 7 days. 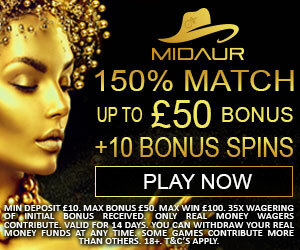 Free spins wins capped at £1. Winnings generated from free spins are paid out in bonus money & must be wagered 50x before being cashed out with its respective winnings. General T&Cs apply.